Perhaps no academic field evolves more rapidly than that of science and engineering. 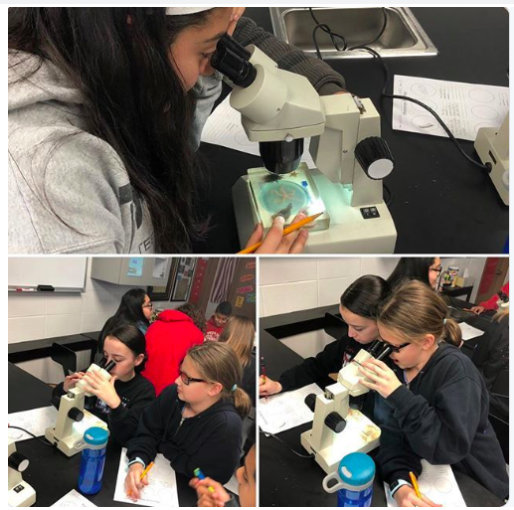 At CSMS, staff identified a need for science labs - original to the 1957 construction of the school - to be reinvented in order to meet the needs of the 21st century student. Not only did teachers want the facilities to encourage collaborative learning, but also to explore scientific inquiry and engineering design to adhere to the Next Generation Science Standards. Funded by the district, the new labs were primarily constructed by a hardworking District 75 maintenance crew whose work saved the district many expenses from outside contractors. 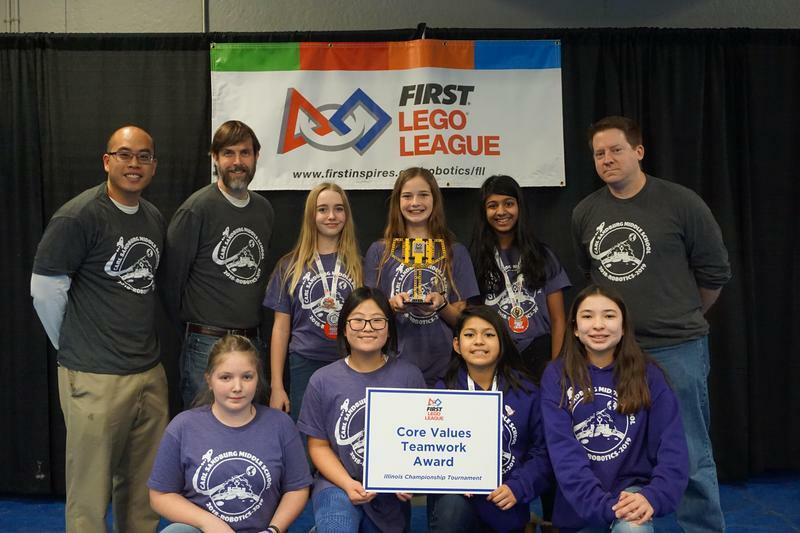 Seven talented 6th grade girls from Carl Sandburg - the robotics team known as Gamma - have been honored with an invitation to compete this spring at the FIRST LEGO League Razorback World Invitational at the University of Arkansas from May 16-19! One of the three robotics teams from the middle school and the first ever to be invited to go to a national competition, Gamma’s members are: Mari Hoover, Lia Kagan, Leah Kim, Sara Choi, Lucy Heikes, Sreya Kannappan, and Guadalupe Mayoral. Head coach Mr. Bret Anno, a D75 parent, along with assistant coaches, teacher Eugene Skura and parent Scott Vandemotter, also deserve kudos. “The entire Sandburg Community is proud of your work and accomplishments,” says principal Mark Pilut in recognition of the great effort put forth by the group. Click for more information on how you can support their efforts! A Night at the Races is coming! Food, beverages, simulated off track racing, live and silent auctions, prizes, and more will make this second annual one-of-a-kind event an evening to remember. Consider joining in on the fun at Luigi's Ristorante at 1130 W. Maple Ave., on Saturday, May 4th at 6:30 pm. Single tickets are $35 and arranged table seating options are also available at group rates. Additional information can be found on the website - www.innovate75.com. Tickets are available on Eventbrite - www.eventbrite.com. All money raised by this STEAM Foundation sponsored fundraiser supports a variety of innovative D75 STEAM Foundation learning projects and activities – Robotics, the musical, the Cyber Patriot team, Saturday and Summer STEAMER camps - to name just a few.